A friend of mine at work told me something really interesting yesterday over the coffee. I was like - “WHAT? How is that possible? That means they have proved Einstein wrong!” I thought he misread it or something, so I searched over the Internet and yes, it was a news (due to Steve Jobs and Dennis Ritchie death, it just didn't came up to my ears till the date). 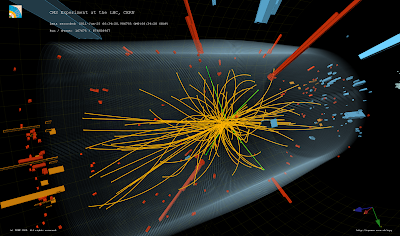 An international team of scientists said on Thursday they had recorded sub-atomic particles traveling faster than light -- a finding that could overturn one of Einstein's long-accepted fundamental laws of the universe. What does Einstein say about speed of particles? The laws by which the states of physical systems undergo change are not affected, whether these changes of state are referred to the one or the other of two systems of coordinates in uniform translatory motion. And as we all know (I hope!) - This theory became the most fundamental theory of modern physics. From Rocket Ships to nuclear weapons, from cosmology to GPS, wide verities of applications are running accurately based on this theory. Einstein became the scientist who bent the sky. The thing is that when the news of discovery of particles moving faster than light arrived, it gave a huge blow to the results of the theory of relativity. According to theory of relativity, a particle (that has mass) with subluminal (u < c) velocity needs infinite energy to accelerate to speed of light. So they really disproved Einstein, huh? So, what was this experiment? Not so easy to prove me wrong! According to the paper published by theorist Carlo Contaldi of Imperial College, London, the group's calculations do not take into account one aspect of Albert Einstein's general theory of relativity: that slight differences in the force of gravity at the two sites would cause the clocks to tick at different rates. 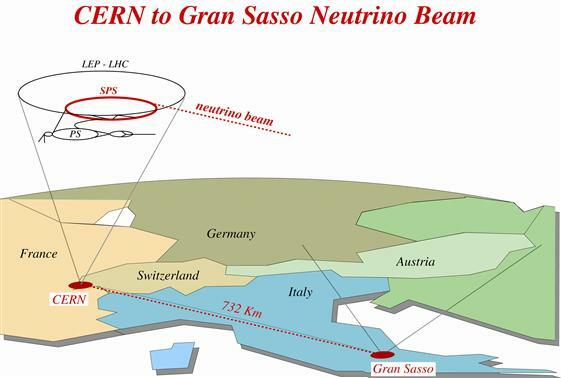 Because of its location relative to the centre of Earth, the CERN site feels a slightly stronger gravitational pull than Gran Sasso. Consequently, a clock at the beginning of the neutrinos' journey would actually run at a slower rate than a clock at the end. One more thing - thought the clocks were synchronized using GPS, it will still have difference due to time dilation effect, which could be tens of nanoseconds. That will surely decrease significance of the result. Einstein's theory says that speed of light is maximum attainable speed for any particle. But the main crook is that he never mentioned the actual value of speed of light in vacuum (c0). It was experimentally measured later. However, the vacuum is not only possible vacuum which can exist. The vacuum has energy associated with it, called vacuum energy. When vacuum energy is lowered, light itself has been predicted to go faster than the standard value 'c' and vice versa. So, do we really know what value should we take for c0 in Einstein's equations? After the breaking news scientist around the world are trying to accurately verify the results of the experiment. Better time correction it yet to be implemented for next measurement. As for the records, this is not first time when an experiment has found out that neutrinos are travelling faster than light. Ten years before OPERA experiment, measurements about a FTL(Faster Than Light) neutrino were found in china by Guang-Jiong Ni. Similar results were found in MINOS(Main Injector Neutrino Oscillation Search) at Chicago. Following OPERA and CERN's request for confirmation, both Fermilab and the T2K experiment have announced they intend to test the OPERA result in coming months. First of all, let’s see if the theory of relativity allows having particles with superluminal speed. Although theory of relativity forbids us from accelerating a particle (with mass) from subluminal speed to luminal/superluminal speed, it doesn't tell us about existing particles having superluminal speed. Relativity approves theoretical existence of particles with superluminal speeds, and so it is accepted by most of the physicists. Such particles with superluminal speeds are called as Tachyons. The existence of Tachyons is base of some of theories in modern physics e.g. bosonic string theory. Also to tell about, Tachyons appear in many science fictions. It has been used as a standby mechanism upon which many science fiction authors rely to establish faster than light communication, with or without use of causality issues. What if these neutrinos were actually were travelling greater than light? One for sure, it will provide a practical proof for theoretical existence of tachyon. Scientists who based their theories on existence of Tachyons would be greatly relieved. But most important of all, practical existence of such particle will violate principle of causality. Causality describes the relationship between causes and effects. It is considered to be fundamental to all natural science, especially physics. It can be described as, if you see an event is happening, you can find out the cause for event to occur. i.e. “If you do this, you will see this happening” and “If you don't do this, you won't see this happening”. e.g. “If you put a jar of water on gas burner, given sufficient flame temperature and atmospheric pressure, you will see water boiling after some time” and “If you don’t put the jar on gas burner (or any such flame), and air pressure is still same, you won't see water boiling”. Now let us consider, we can prepare neutrino particles that can travel faster than light and they can be transmitted in space as means of carrying some information. Let there be a space ship travelling with speed comparable to light. The observer in space ship is looking at this transmitter on earth and also getting the information out of the neutrino signal using “neutrino detector”. Now ‘according to the observer’ in this space ship, the signal received through neutrinos is not seen to be transmitted yet i.e. effect is seen prior to the cause. So the principle of causality is violated in his/her point of view. Now what to do? Just give up the principle of causality? Keep all principles aside, what is interesting here? Keeping all this theoretical garbage aside, what if this experiment passes through all that, what would that mean? Let’s see a short story of a crazy scientist “Dr. Emmit Brown” who wants to travel to the future. 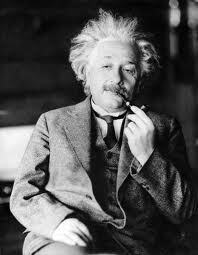 He has studied all principles of relativity and related modern physics theories. 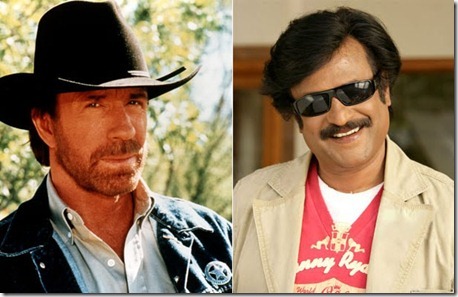 He knows the principle, “as speed of an object increases, time slows down”, i.e. Wrist watch of a man travelling at a speed comparable to light will tick much slower as compared to those who are stationary(or at less speed). So what Dr. Brown did was, He designed a space ship which can travel about 90% of speed of light (88 mph won't do it!). He launched at 9 o'clock in morning, Travelled with it till 10 o'clock in space with full throttle and then came back to earth. And what a wonder, it was 2.30 in afternoon on everybody else's watch. Dr. Brown came 4.5 hours in future. Great!!! But now He wants to go in past. Can he do that? First assume that he had modified his space ship to travel at speeds greater than light also. Now let’s see what happens. Dr. Brown is accelerating slowly. He already has some instrument that tells him about time of stationary world and his own time. As he speeds up, he can see world time going slower and slower as compared to his own. Eventually when you hit speed of light, the outside world is so slow that it stops for you (You can imagine this, can't you? If not, imagine being Flash). So what’s next? If we continued with the numbers, it’s like outside world's time has got a kind of deceleration. So after big zero, speed of time will go negative, or you can say you went into the past! “Ta da”!